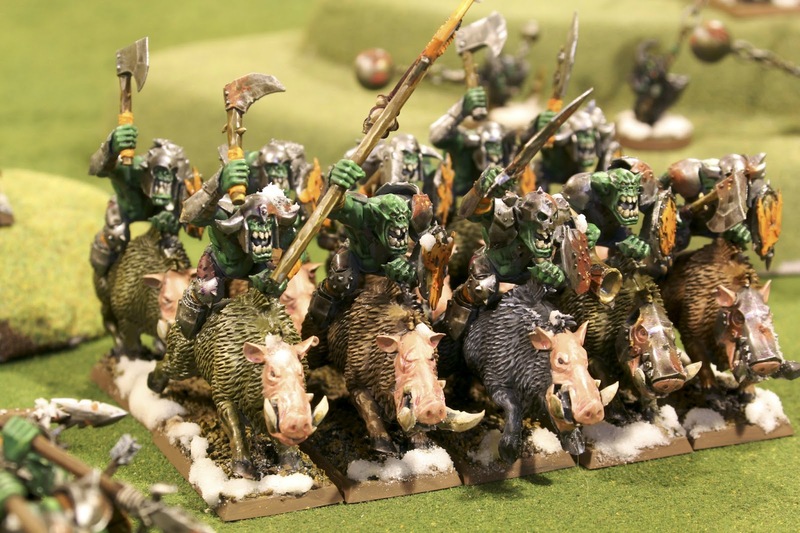 More Warhammer Fantasy Battles, this time with PappaJJ's boar riders that I did for him. 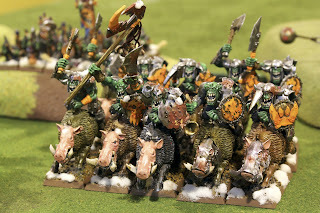 These models were again most excellent in many ways. 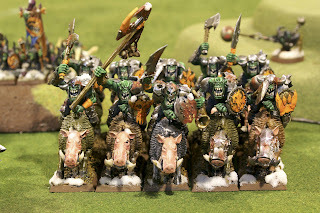 First of, these are some of the only orc models that actually rank up and assemble without causing mind-numbing headaches. Secondly, the models were a snap to put together while remaining highly flexible in poses no matter the weapons that were chosen. Lastly, the large smooth areas on the armor allowed me to use the snow on metal effect extensively which I thing came off very smoothly.